As pretty as these images are, I think it's safe to say they don't begin to do justice to seeing the collages created by Laura W. Adams in person. 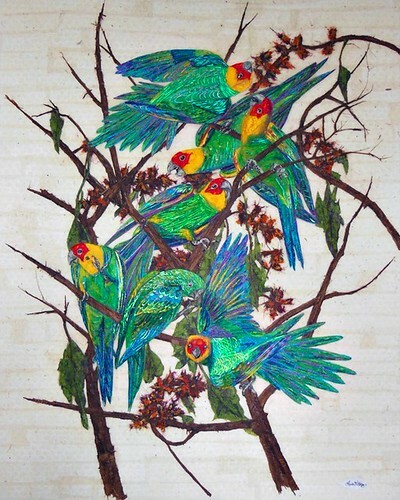 Although they look as if they could be paintings, each is composed of tiny paper pieces by the thousands. 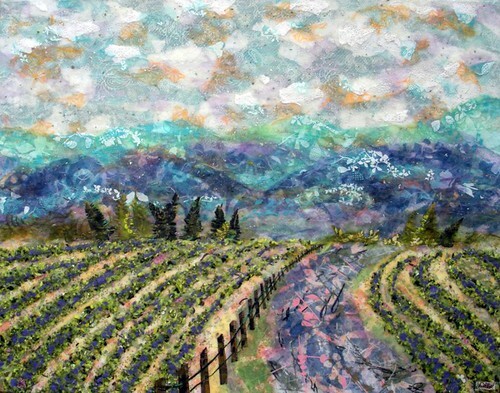 A self-taught artist, Laura adheres layer upon layer of hand cut, patterned paper squares to a large canvas, covers the squares with tissue, applies more cut paper and colored tissue to blend, shade, and add texture... well, you get the idea. No paint is used. Obviously each collage takes many hours - days actually - to complete. 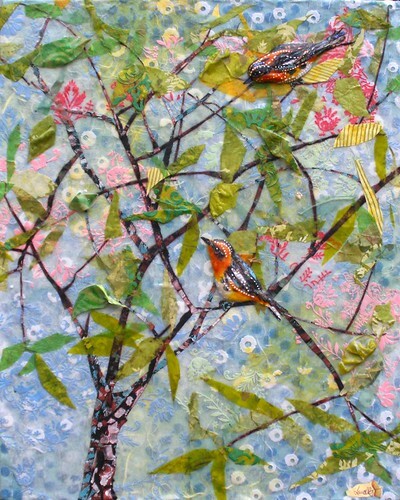 A new show of Laura's work titled Audubon Interpretations will open on November 7 and run through December 3, 2013 at the the Lagerquist Gallery in the Buckhead district of Atlanta. 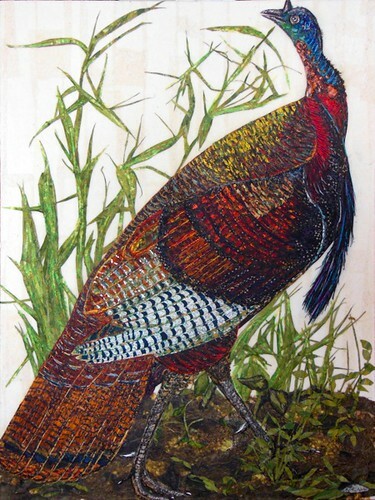 Laura was inspired to reinterpret John James Audubon's original watercolor paintings of birds after visiting a showing of his work at the New York Historical Society last year. 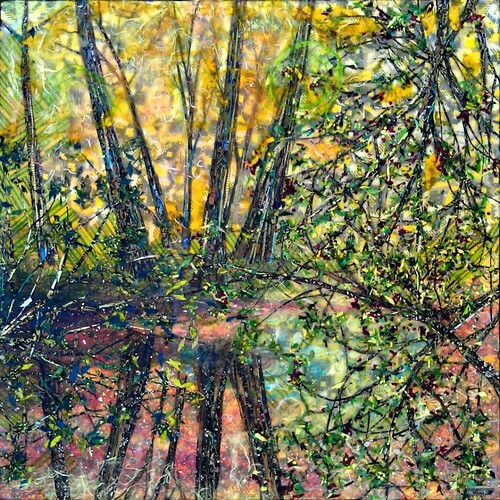 She has been working on this group of collages for the past nine months. These next three images are from earlier collections and feature profuse detail and color. The depth of field Laura is able to capture simply with the tiniest pieces of paper and glue is remarkable! She appeared on the HGTV show That's Clever in 2009... it's fascinating to watch as she creates a collage. Laura will be continuing the Audubon series through next year, and will attend the Southeastern Wildlife Exposition in Charleston, South Carolina in February to show more birds. I am awestruck by this artist's work. Thank you for sharing! I'm not sure if I'm paralyzed by admiration or want to start collecting papers to try her technique...but wow! I am amazed at the size of the work she does . The birds have so much dimension . LOVED the video. Amazing work she creates. Beautiful!! My goodness!! What a difference in adding the tissue paper. Really blends all the different shadings. wow she is awesome !!! !